A Brazilian buffet, Casa Brasil prides itself on its barbecued meats and live music nights. The staff bring meats directly to your table, having used a centuries-old cooking method. 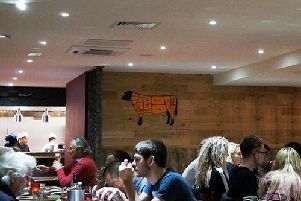 Large portions of beef, pork, lamb and poultry are spit-roasted over coal fire pits, preserving the rich flavours.